It was Shabbat afternoon. Eliyahu had just come home from synagogue with his family, and now he was standing, kiddush cup in hand, ready to recite the blessing. Suddenly, the peaceful scene was disturbed by the blaring of a siren. His children ran to the window. Eliyahu ran outside. There was his dear neighbor and friend, Yaakov, being carried out of the house on a stretcher. As the paramedics carefully brought Yaakov into the waiting ambulance, Yaakov’s wife apprised Eliyahu of the situation. Things were not looking good. Yaakov was in serious danger. After the ambulance had pulled away, Eliyahu ran back inside his house. He told his family about Yaakov’s situation. Eliyahu told his children that they needed to pray to Hashem to ask Hashem make Yaakov feel better. He said a chapter of Tehillim together with them. Did Eliyahu act correctly, in asking a non-Jew to send an email on Shabbat, in order to ask a rabbi to pray for Yaakov’s recovery? 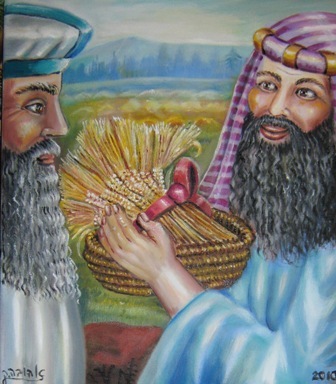 1) The Heshiv Moshe: Hashem knows a person’s thoughts, and is aware that, if it were not Shabbat, the person would write to a rabbi and request a blessing, and Hashem will save the person, even without the blessing. 2) Rabbi Shlomo Kluger (U’bacharta Bachayim): There is no need for this prayer, because Shabbat itself has the power to help, in place of the blessing of the rabbi. In Summary: According to Rabbi Chaim Brisker, Eliyahu acted correctly, because his actions were an attempt to possibly save a life. According to the Tzitz Eliezer, Eliyahu’s actions were improper.